Tremor arrives from the Sherman Theatre in Cardiff, Wales, as part of 59E59’s Brits Off Broadway series, and the title is apt, at least for the first third of the play, which is filled with mystery, latent hostility, and anxious energy. But this gripping opening is ultimately squandered by a series of clumsy revelations and awkward sermonizing on contemporary politics, at which point the characters cease to be complex individuals and become stand-ins for competing ideologies, neither of which is laid out with much coherence or subtlety. I’ll avoid spoilers since the play hinges on various disclosures, but the basic set-up is that Sophie (Lisa Diveney) is visiting a former lover, Tom (Paul Rattray), after years without any contact between the two. Sophie’s visit is unannounced: she is clearly nervous and Tom is flustered, though both attempt polite small-talk. The question that hovers, and isn’t directly addressed at first, is why has Sophie come? Is she simply curious to see how Tom has moved on with his life (he has a wife and two-year-old son, neither of whom are home, though he worries they might return at any moment), while she herself has not? Or is there some darker purpose for the visit? It soon becomes apparent that Sophie and Tom suffered a traumatic event in their past, and one that itself became a national tabloid tragedy. Tom insists that he has started life over, become a new person, while Sophie still carries the weight of those past traumas. From there we learn the nature of the event, and the ways in which Sophie and Tom each dealt with its aftermath. Tom and Sophie pace nervously throughout their hour-long conversation on Hayley Grindle’s sparse, circular set—the only props are an abstract painting, two toy dinosaurs, and two mugs for tea. The dialogue is fast paced, full of stops and starts, which all works very well under David Mercatali’s tight direction, until the move away from mystery and tension and toward all-out exposition and speechifying. The opening is so absorbing and nerve-wracking because Diveney and Rattray are able to imbue ostensibly trivial small-talk with undercurrents of anger, condescension, regret, and bitterness. We sense reservoirs of pain lying beneath the increasingly tense back and forth, and even a moment of seeming levity—when Sophie presumes the abstract painting in Tom’s flat is the work of his two-year-old, George, and Tom informs her that it was purchased at Ikea—conveys hostility and defensiveness, exposing the unbridgeable rift between this former couple. This can’t go on forever, of course: in a play about a past trauma, the trauma itself must be summoned. But it can be teased out from the conversation of the characters, not inserted as a summary that feels like a book report. Once the engrossing uneasiness of the opening has given way to long-winded explanation, the political revelations and final, would-be shocking speech by Tom feel more like an outline of issues a play could address, rather than a fully realized drama. 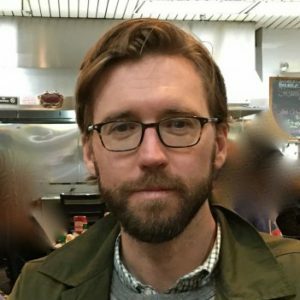 Colin did postgraduate work on Shakespeare and drama at the University of London and the CUNY Graduate Center, and is currently the managing editor of Renaissance Quarterly. When he was seventeen he saw the Old Vic production of The Iceman Cometh and has been avidly theatergoing ever since. His writing has appeared in The Times Literary Supplement, Salon, and The Shakespeare Newsletter.